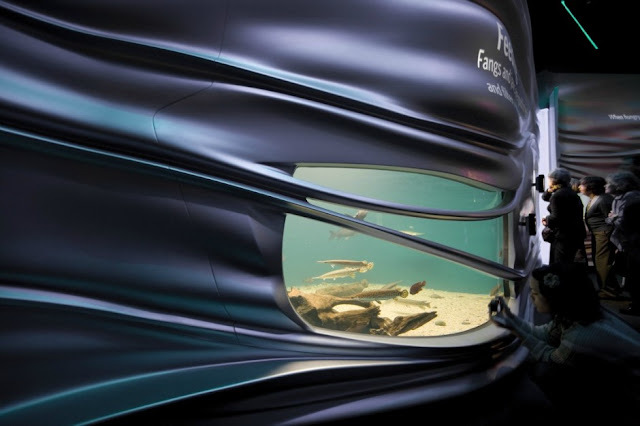 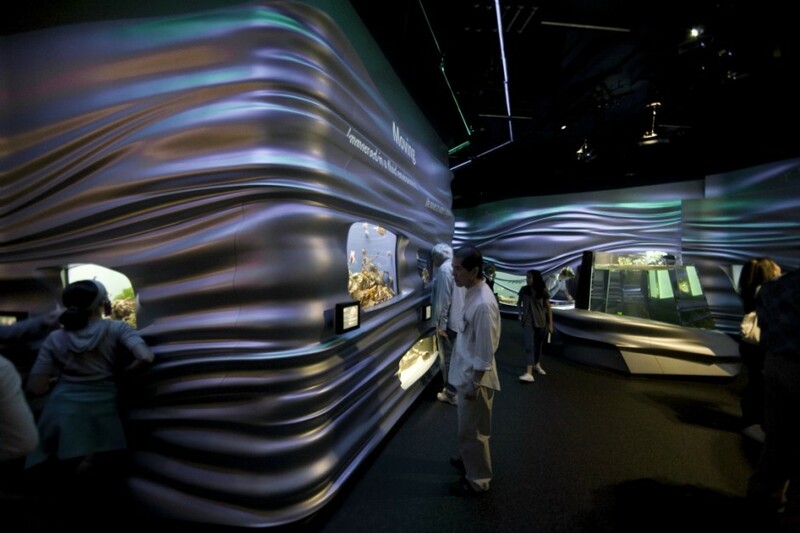 Urban A&O designed 3D rippling fluid walls for the Steinhart Aquarium in San Francisco, California. 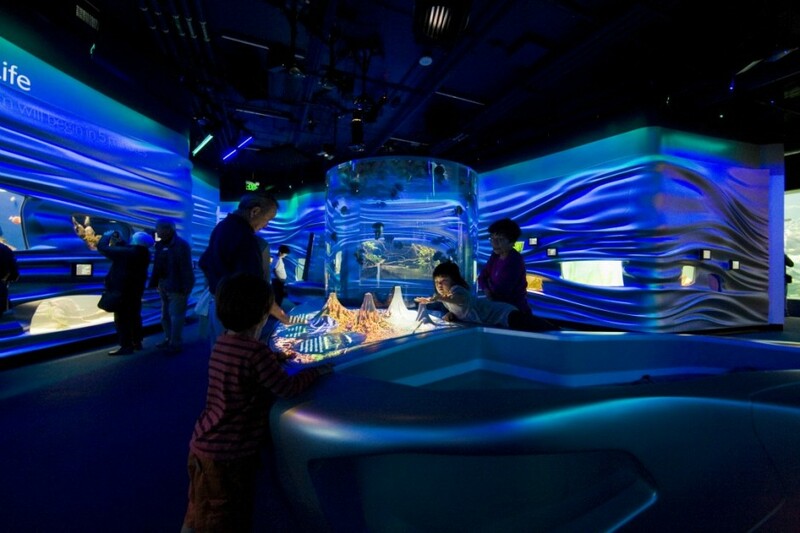 The Steinhart Aquarium in San Francisco exhibits the diversity of life on earth and the varied habitats it creates. 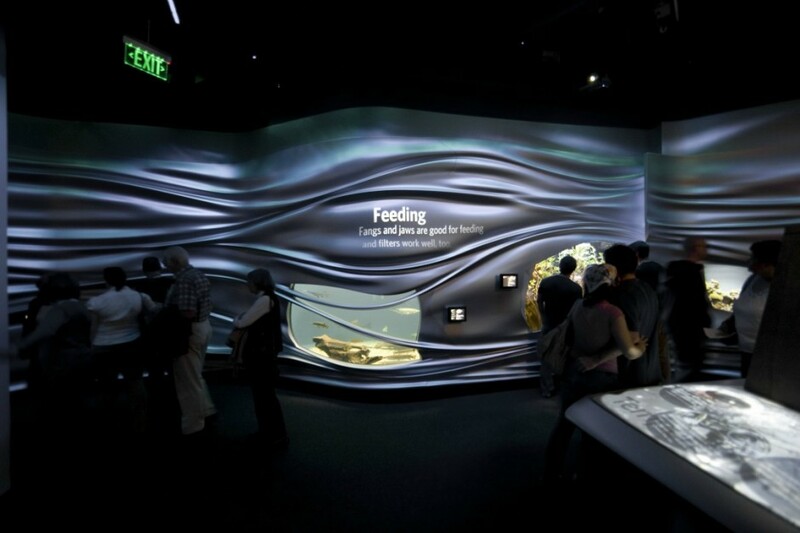 No aquarium has ever provided an encompassing view of the link between water and life that makes this planet unique. The centerpiece of the Steinhart Aquarium is The Water Planet, a 10,000 square foot exhibition incorporating new modes of exhibition, design and technology. The space integrates living animals and powerful multimedia in order to bring complex natural phenomena within ready grasp of young visitors and families. 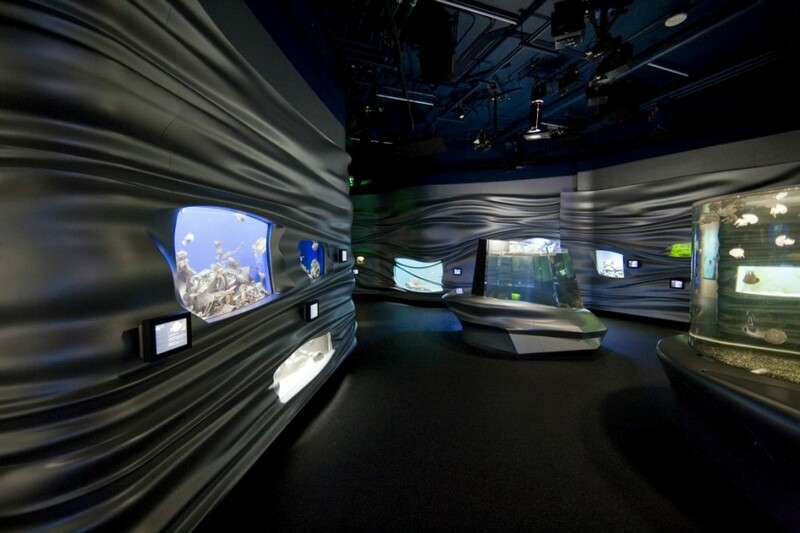 The Water Planet firmly establishes new visual, conceptual and creative benchmarks for aquarium design. 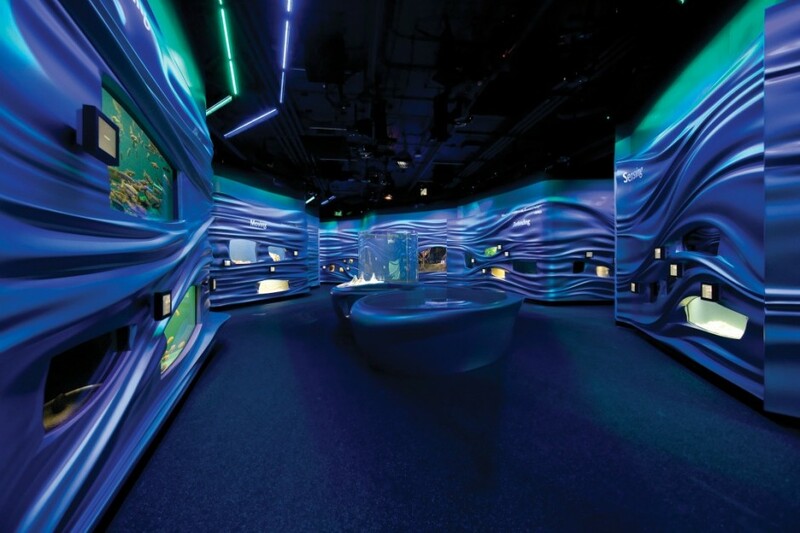 To form its fluid walls and interactive islands, Thinc, the lead exhibition designer for the Aquarium as a whole, turned to Urban A&O, an award-winning architectural firm and frequent collaborator. 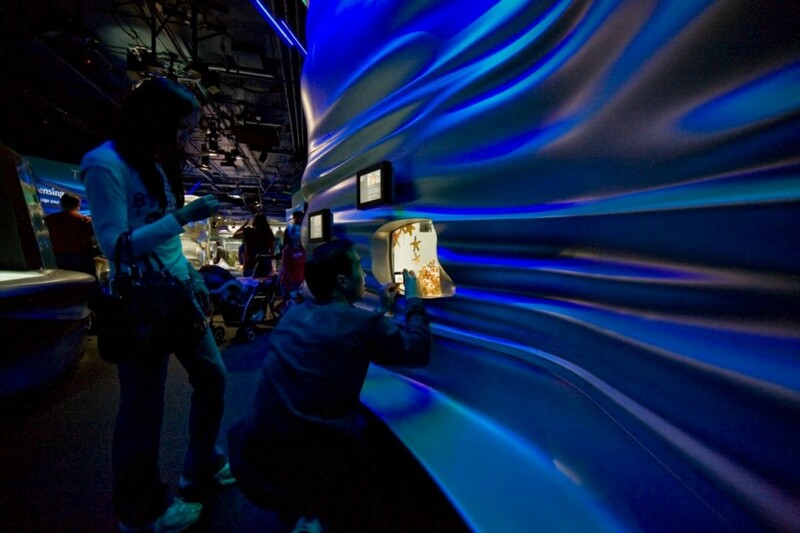 Urban A&O has the unique ability to create extraordinary forms using CATIA-based parametric modeling software that enables precise control of design and manufacturing. 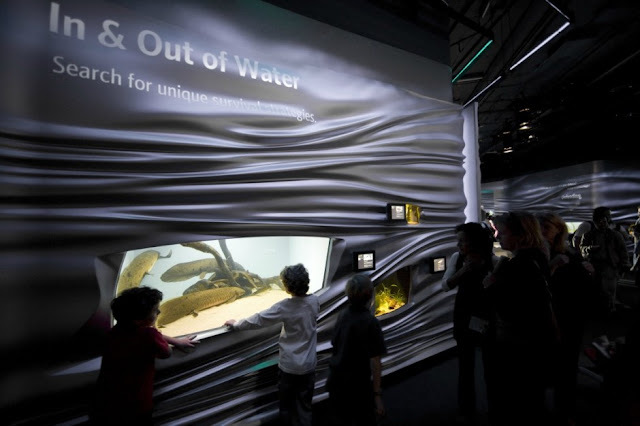 A result of this process, The Water Planet’s tactile, rippling surfaces link the exhibition’s 39 tanks of living organisms with interactive media and video projection. Three islands, rich in interactive media and living exhibits of their own, sensuously march through the center of the gallery. Like the walls, they are fluidly shaped to accommodate close viewing of the exhibits, tactile interaction with media, seating for visitors and technical access for the staff. The walls and exhibition islands of the Water Planet reflect the sensuality of water via the heightened forms that Urban A&O was able to create. 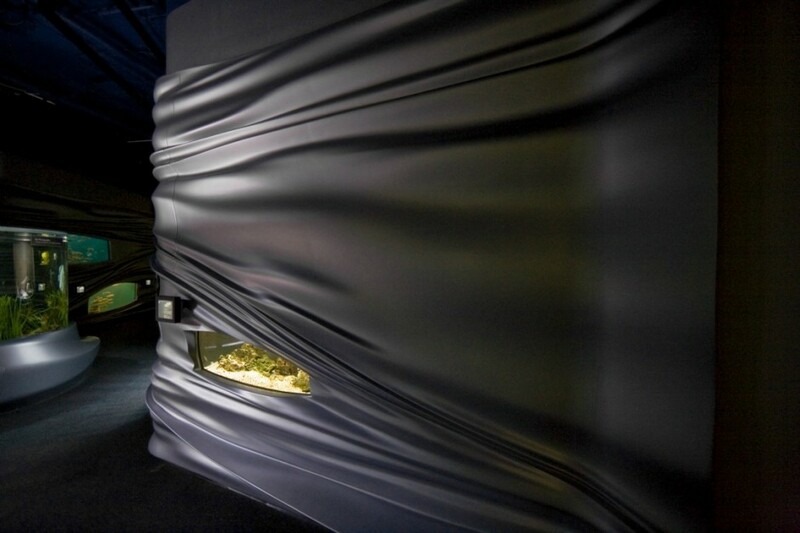 The island’s fluid forms are designed to invite touch, which in turn triggers media windows to open on many of the surfaces and create flows of water and steam across them. 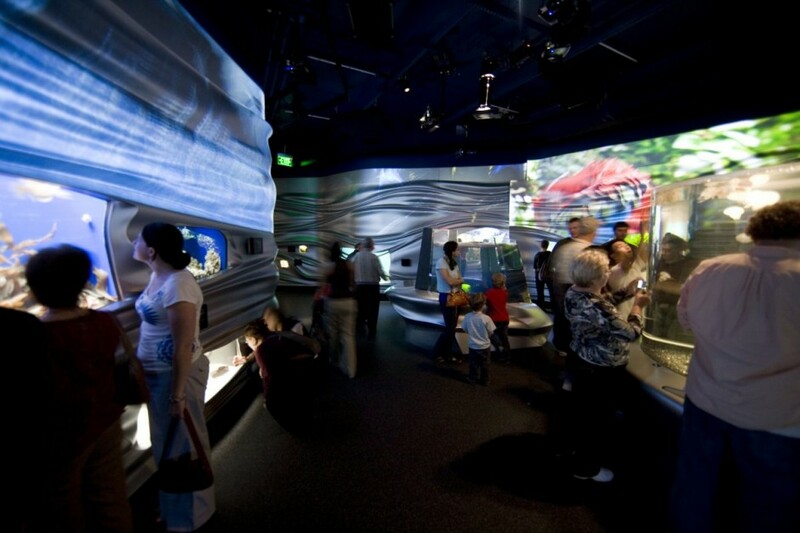 The surrounding walls, punctuated by sinuous apertures that reveal living habitats behind them, also create a seamless media field with 13 interlinked projections transforms the exhibit space each hour into a full-round theater that can deliver a powerful and entertaining educational program. A half-dozen “Dive Stations” provide the chance for tactile, hands-on experience with real specimens like dried corals and shark’s teeth, with interactive media that contextualize the objects and provide exciting encounters with the organisms as living creatures.